Arrabiatta: spicy tomato sauce "in a hurry"
Made these sandwiches while decorating for Christmas and they hit the spot. I did serve with some raspberry jam. Very delicious. A favorite of mine. I've found that bone-in thighs are better in flavor than boneless. Disappointing. These fell apart and were dry. ...the fastest to make....And really, this soup was great! Usually a longer simmer means a more flavorful product, but this recipe completely challenged this theory. Rachael Ray loves to cook, and loves to share her cooking experience with others. In this wonderful first collection of recipes, you will discover how to make imaginative, nutritious meals in very little time, using short-cut secrets, on-hand ingredients, and easy-to-follow instructions. 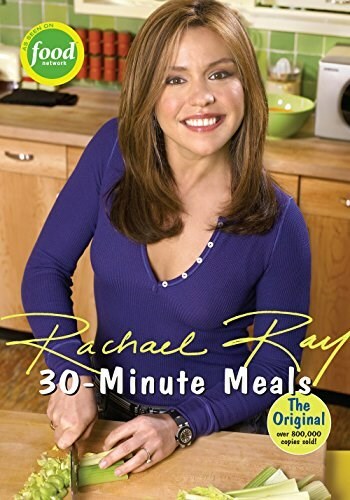 As her television fans will tell you, whether it's pasta, salad, sandwich, make-your-own take-out--whatever--Rachael's recipes always work, and they are unfailingly delicious, too.